TrekATribe is a travel company that organises treks and adventure tours in remote parts of Himachal Pradesh and Uttarakhand. Since it’s a Shimla-based start-up formed by people who’ve lived in the mountains all their lives, their experience and understanding can help you explore the best of the hills. Vaibhav Thakur and co-founder, Gaurav Pal started TrekATribe in an attempt to positively transform the travel industry in Himachal, and out of their love for exploring undiscovered terrain. Today, after more than three years of launching their travel company, they’ve got a bigger team than ever, and are organising more than 20 surreal treks every year. The best part about this company is that they mostly organise budget trips. So, if you’re the perpetually broke college kid, you can still explore the mountains through TrekATribe’s Hatu Peak 2D/1N trek at INR 3,420 (which includes camping, food and transport). For those who have a little more time and money to spare, the 5D/4N Chandernahan Trek at INR 8,430 seems like a good deal. 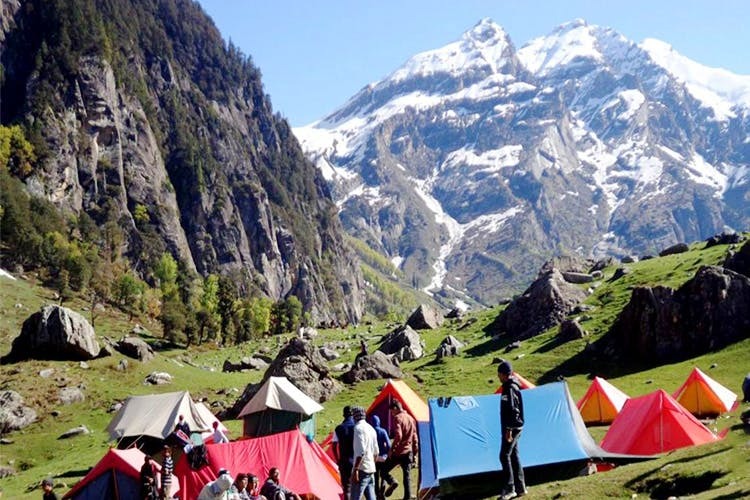 TrekATribe also arranges the popular Kheerganga, Parvati Valley and Triund & Indrahar Pass treks, but balances it out with relatively offbeat and moderate difficulty level Dehnasagar Lake and Neelkanth Mahadev treks. Also, if travelling with strangers is not your jam, the folks at TrekATribe can also arrange customised treks and adventure tours for you. If you love trekking, but hate the planning that goes into it – or are a noob who has never given it a shot – travel with TrekATribe, maybe? Considering that the temperatures in the city are going beyond 40 degrees, right now is pretty much the perfect time to take off for the hills.